Smile Oregon college students! 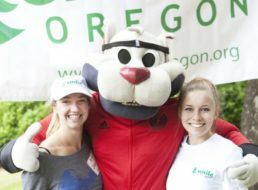 The $1,000 Smile Oregon Scholarship is available annually for students with a cleft or craniofacial condition entering college. Applicants can apply through the Oregon Office of Student Access and Completion (OSAC). Annual deadline is March 1st. Save The Date: April 27th!